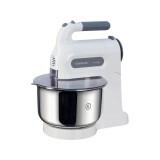 Cornell CSM-8007HP Stand Mixer Power : 250W Capacity 2.5L bowl 5-speed with turbo function Detachable as hand mixer Accessories : Stainless steel beaters, dough hooks ..
IONA GL788 Stand Mixer Designed mainly for the task of cake mixing, the Iona’s stand mixer is perfect for those who want to improve their baking skills but who may not have the space for a kitchen machine. Use the hand mixer separately for quick convenien.. Created with versatility and simplicity in mind Designed for the task of cake mixing, the Kenwood Chefette is perfect for those who want to improve their baking skills but who may not have the space for a kitchen machine. 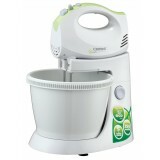 Use the hand mixer separately for quick convenient mixin..